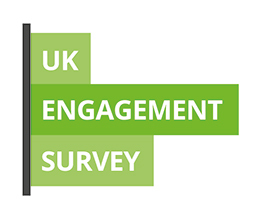 The UK Engagement Survey (UKES) is a national survey which gives you the opportunity to tell us about your learning experience at Queen Mary. It is open to all undergraduate students who are not eligible to complete the National Student Survey. UKES 2019 will be open at Queen Mary between Monday 4 February and Friday 29 March. The UKES is facilitated by the Advance HE (formerly the Higher Education Academy), a national body that champions teaching excellence. The survey asks you about things like how you engage with the learning on your course, how you work with others, and what kind of activities help you to learn. It is a chance to reflect on how you study and what might help your studies in the future. UKES provides you with the opportunity to provide honest feedback on your course and your experience here. The results are taken very seriously and your feedback will be used to improve the learning experience and services at Queen Mary. Your feedback can help us to make positive change for you and for future students. It only takes around 10 minutes to complete. By taking part, you can support the Students' Union's nominated charities - we will be donating 50p for each completed survey. The Students' Union is supportive of the UKES. All responses will be treated as confidential and anonymised. The results of the UKES at Queen Mary will feed in to analysis undertaken across all participating institutions, so your feedback will also provide insight into the student experience nationally, as well as here. We hope that this will help improve your learning outcomes and those of future students. As the UKES is for all undergraduates not completing the National Student Survey (for final-year undergraduates), your responses can make a difference while you’re still studying with us. Find out more about the positive changes we make in response to student feedback at www.qmul.ac.uk/tell- Save and approve us. You will be sent an email to your Queen Mary email address which contains a personalised link to the survey. Reminder emails will be sent during the survey period to students who haven’t yet responded, so the sooner you fill it in, the better! The UKES is open until Friday 29 March. If you have any queries about the survey, please contact Sarah Grossman, Student Surveys Coordinator, at s.grossman@qmul.ac.uk. You can find out more on the Advance HE website.